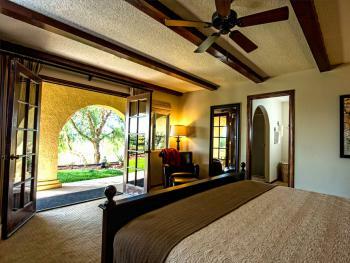 Deluxe King Room Private Balcony overlooking the vineyards from the hilltop with mountain vista views all around the property. 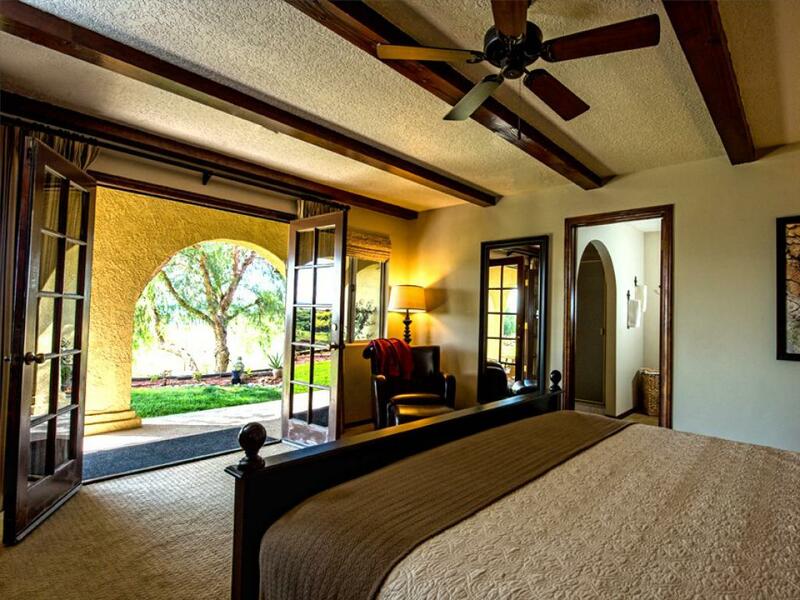 Private French Door entrance with in room fireplace. 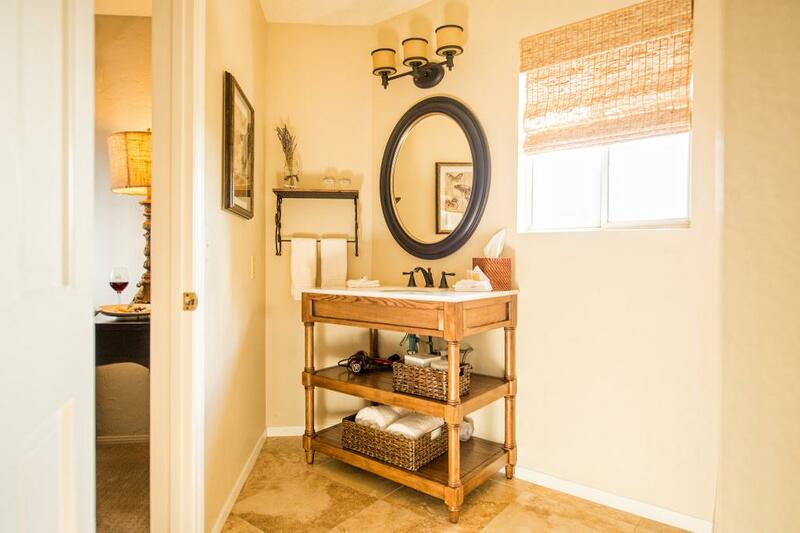 Heart Shape Jacuzzi Tub for Two and walk in shower. 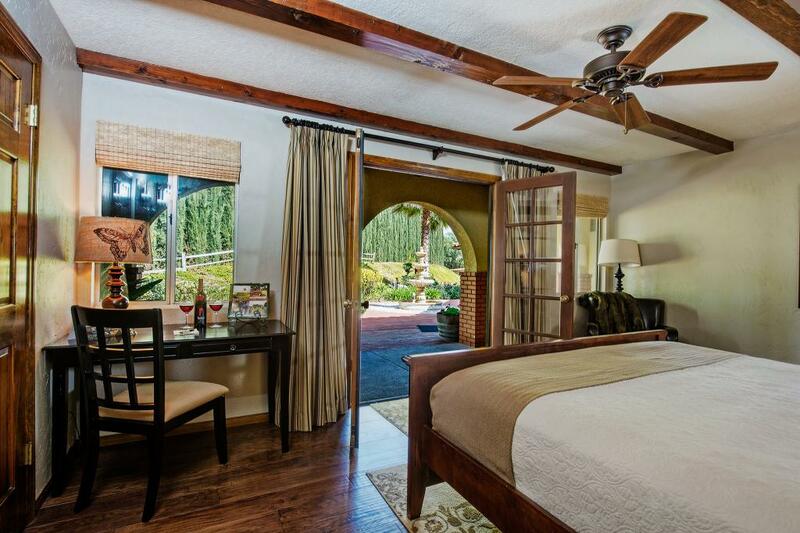 All double en-suites are located on the second floor and have a comfortable king bed with a window view of the courtyard and fountain below. 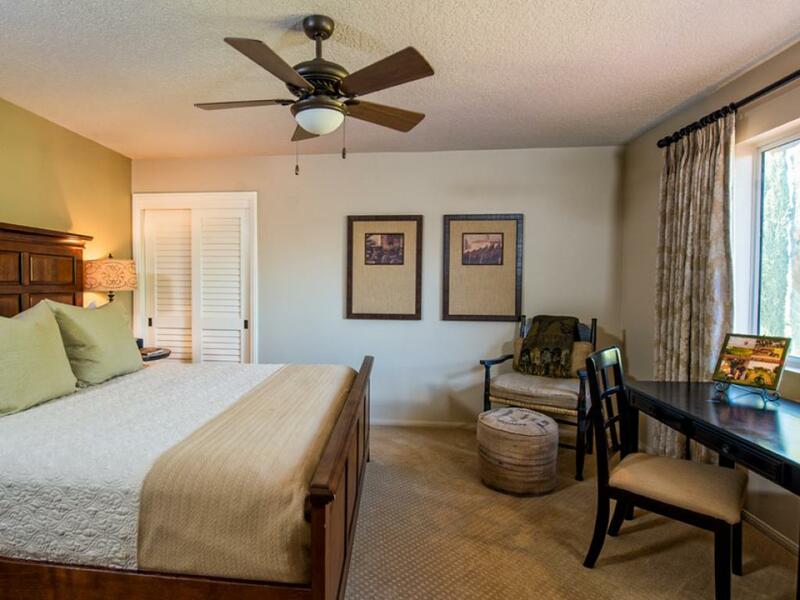 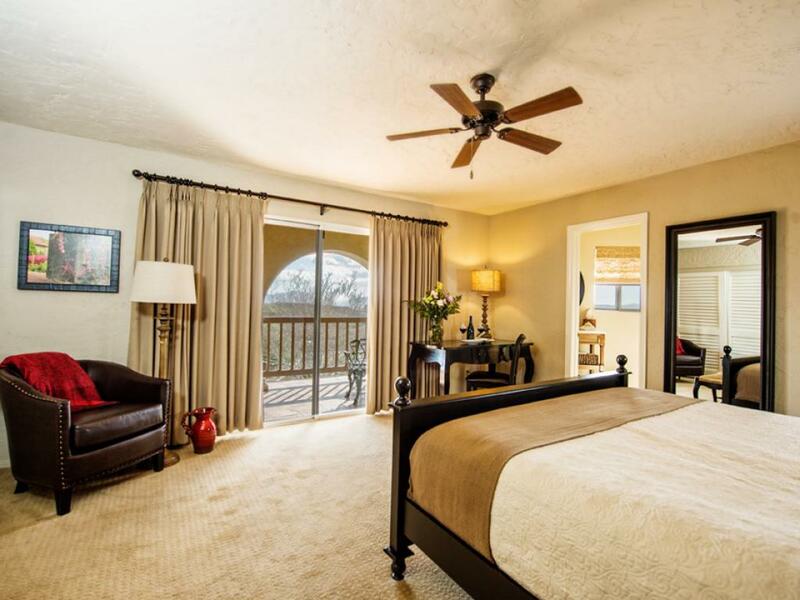 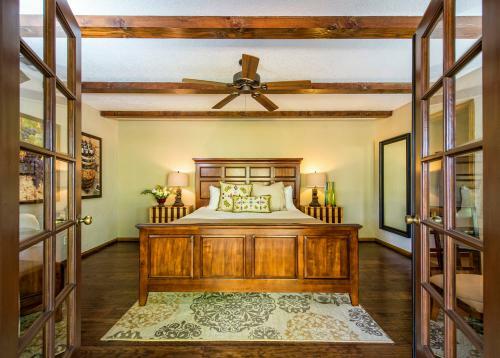 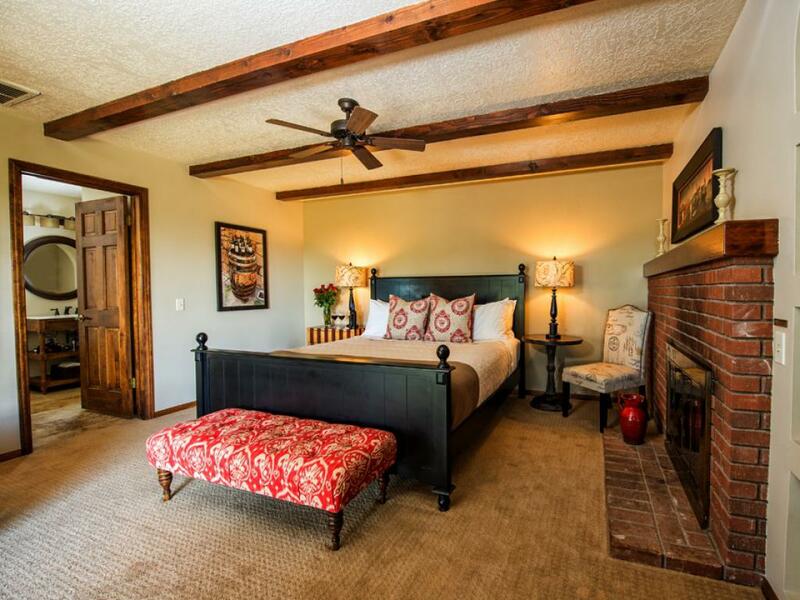 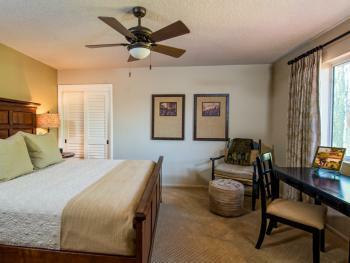 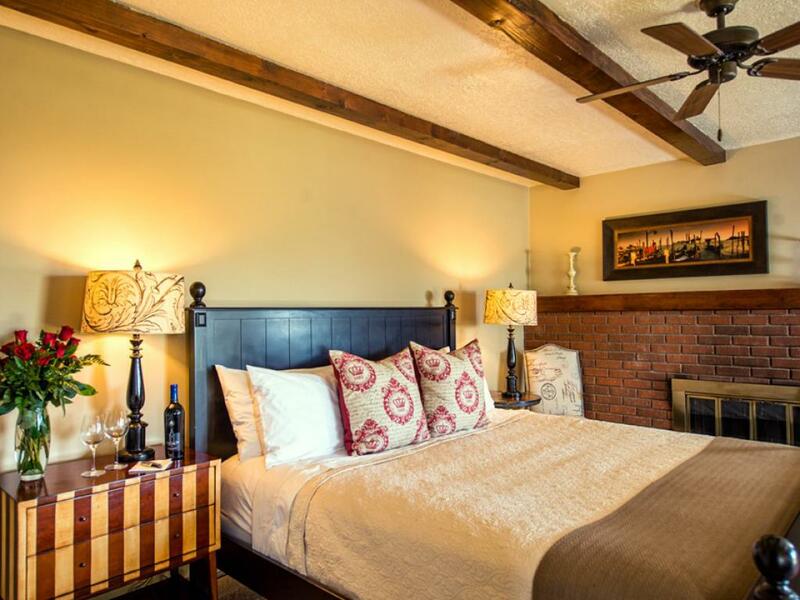 Your stay at The Inn at Europa will be like no other bed and breakfast you’ve ever experienced. 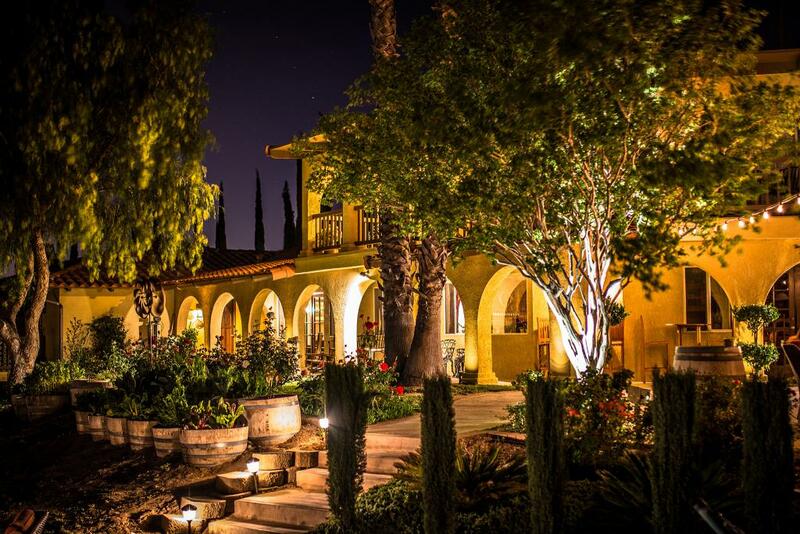 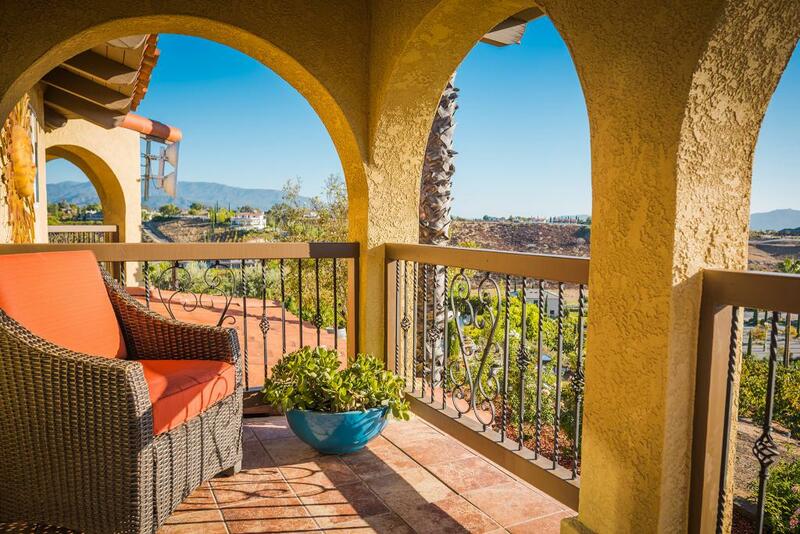 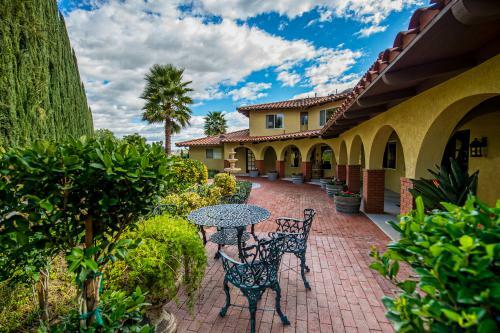 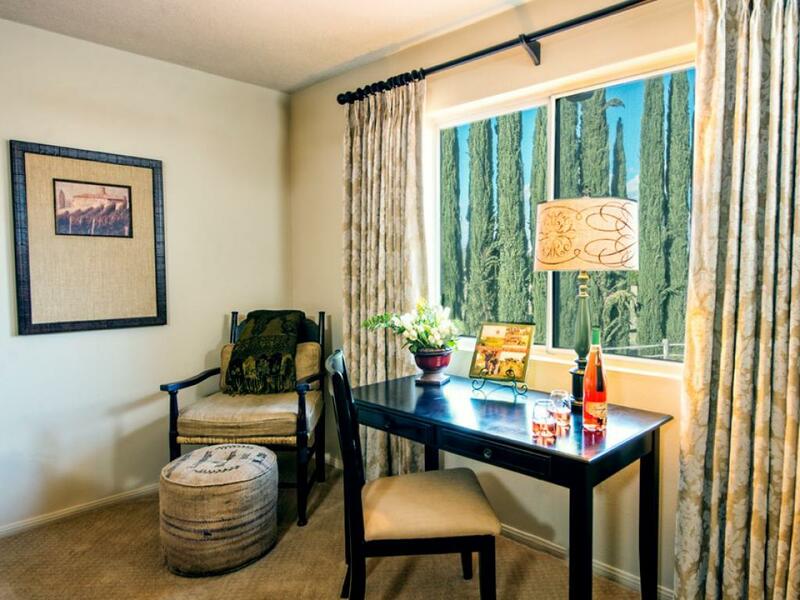 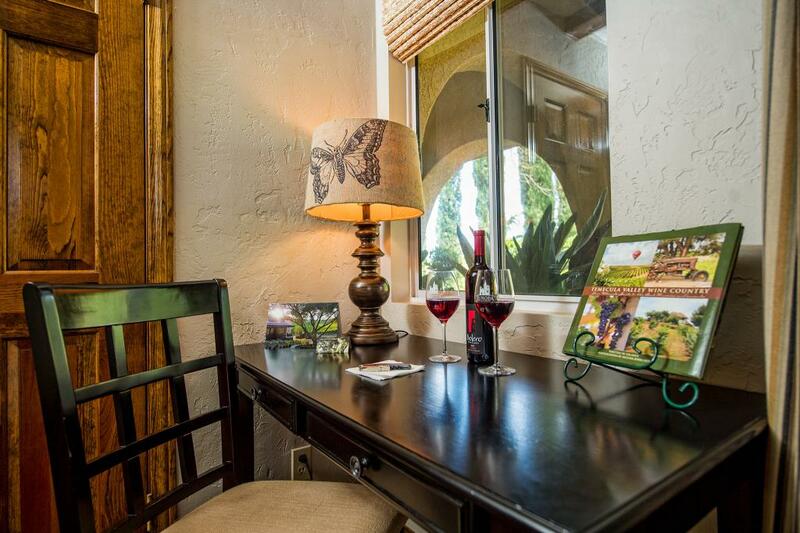 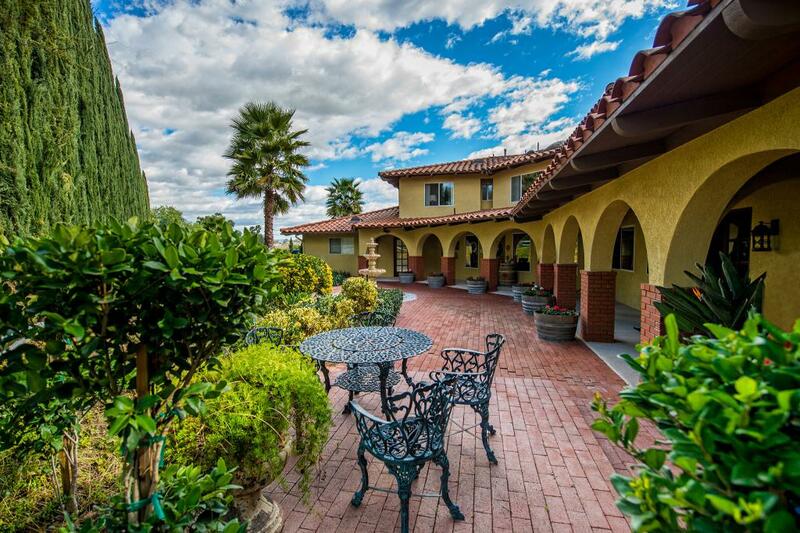 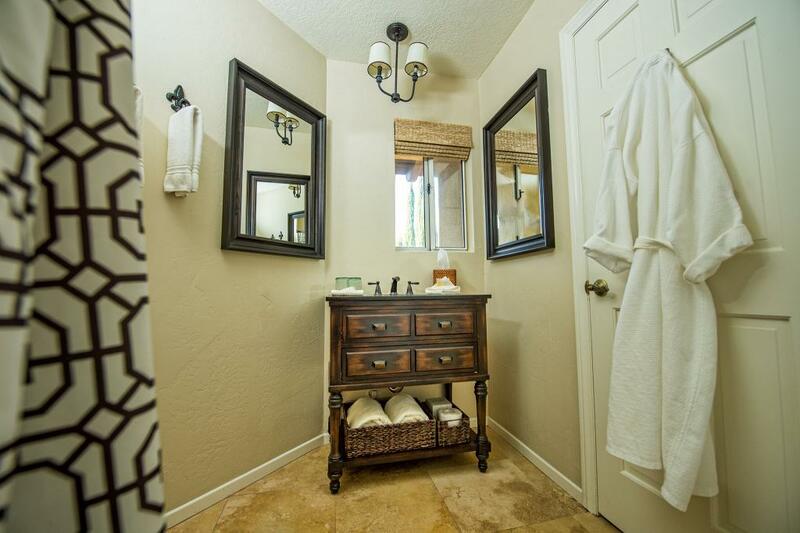 Set on a lush vineyard knoll overlooking Europa Village and the beautiful Temecula Wine Country, The Inn offers you peace and serenity as well as the hospitality and amenities that make memories for life. 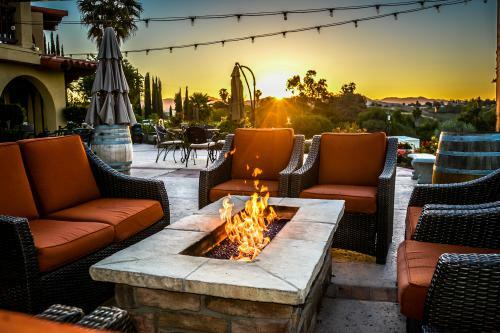 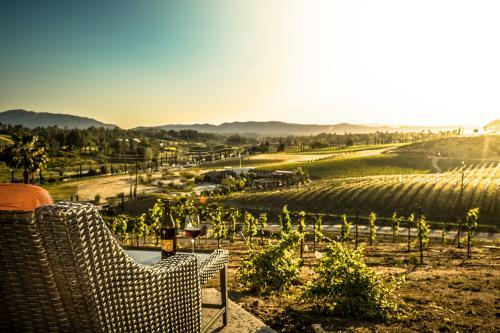 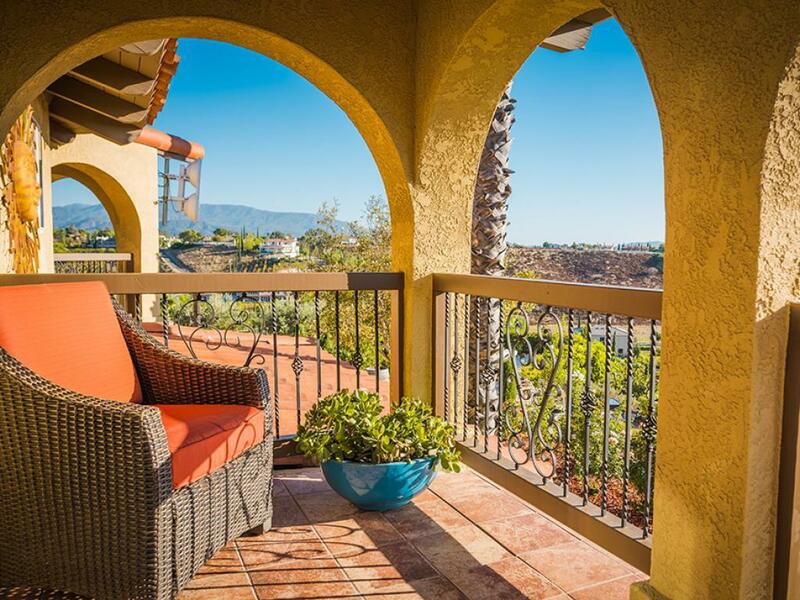 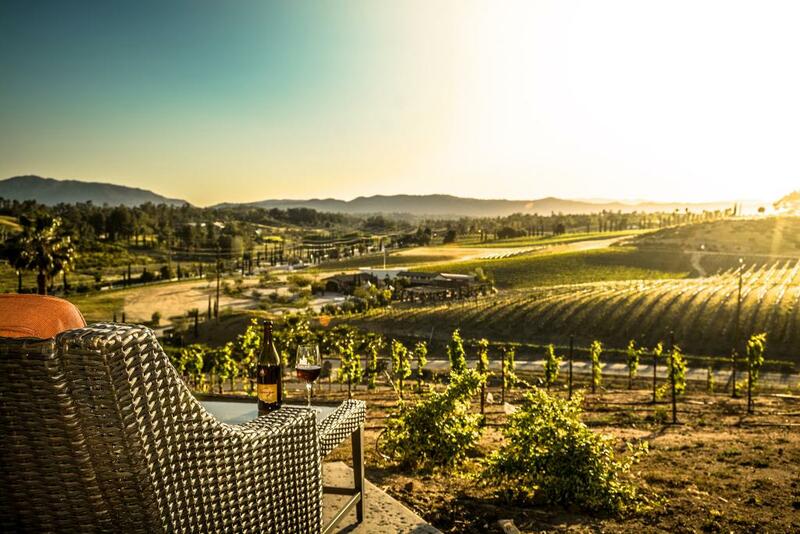 The Inn is located in the heart of Southern California’s finest wine country, and close to popular destinations such as Pechanga Resort and Casino, Old Town Temecula, and numerous championship golf courses. 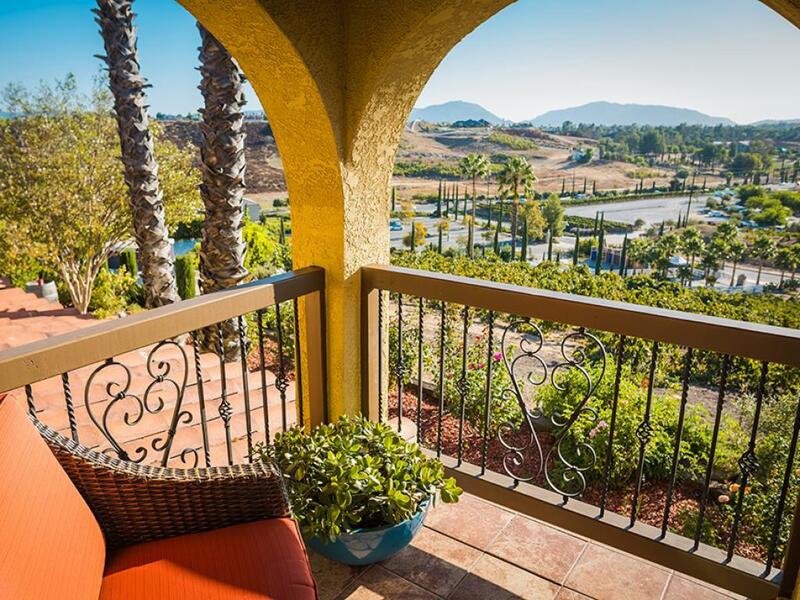 Hot air balloon adventures depart each morning from Europa Village, located just below The Inn and within walking distance for guests. 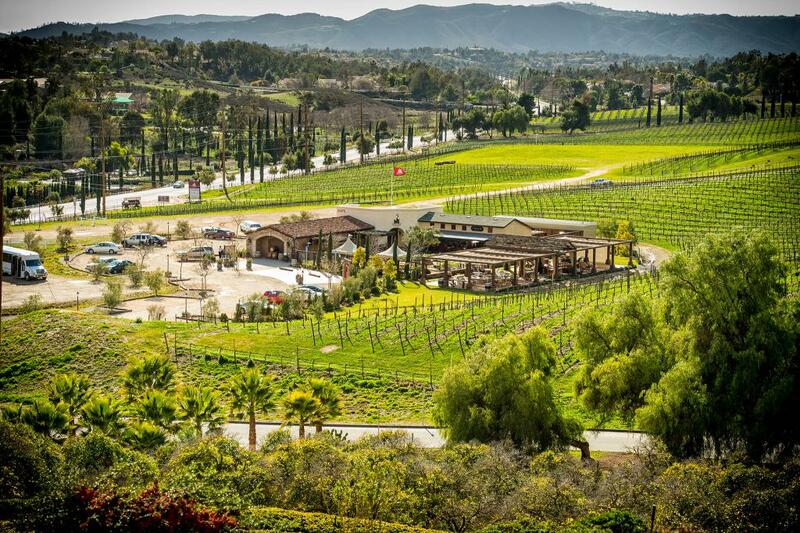 Europa Village features world-class wine tasting, and regularly-scheduled entertainment. 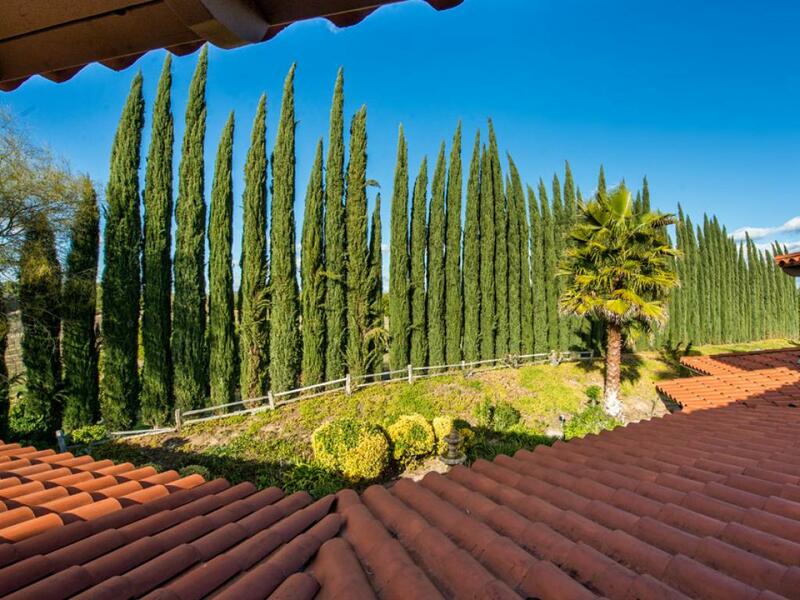 Our grounds include acres of vineyards, an exquisite terrace with panoramic views of the valley and mountains. 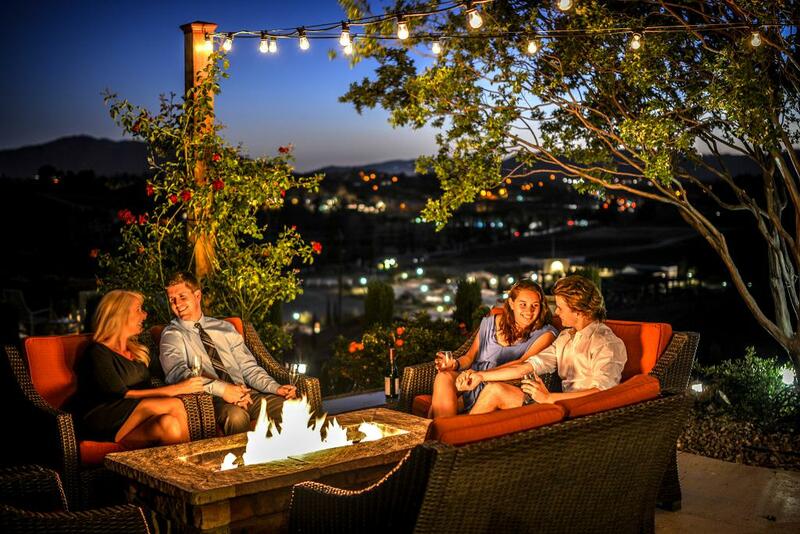 Our patio offers a six-foot fire pit under the stars. 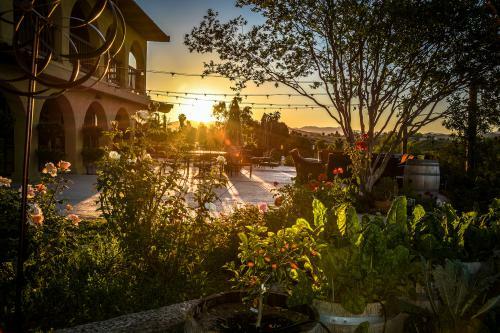 Our mission at The Inn is to provide you with the best hospitality in the valley, starting each day with a two-course gourmet breakfast “experience” prepared slow-food style by Chef Dean.